Alignment– We adjust the angle of the wheels back to the manufacturer’s specifications to reduce tire wear and the car pulling to one side. AC Maintenance and Repair– Driving in a the hot summer with a broken AC isn’t fun. Our mechanics can diagnose and fix any AC problem your car may have. Engine Maintenance – We check fuel injection, ignition, wires and cables, and spark plugs. 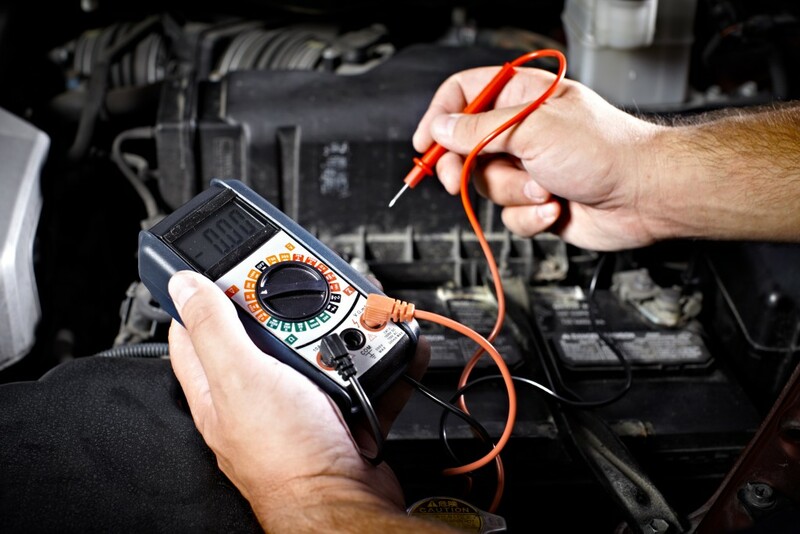 Electronics Serviceand Repair – Our team can help ensure that your vehicle starts reliably. Oil, lube, and filter– Lubricating and oiling your engine consistently keeps you car functioning at peak performance. Towing– Car suddenly stopped? We can get your car towed and begin diagnosing it to get you back on the road as soon as possible. To make sure that you pay the best price possible, we will work with your insurance company to make sure that everything that can be covered is covered. To schedule an appointment, or find out more about what we can do for your vehicle, contact us at 801-375-9111. Battery Diagnostic and Replacement: Car batteries power a car’s systems, such as the computer and stereo, while the car is not running. 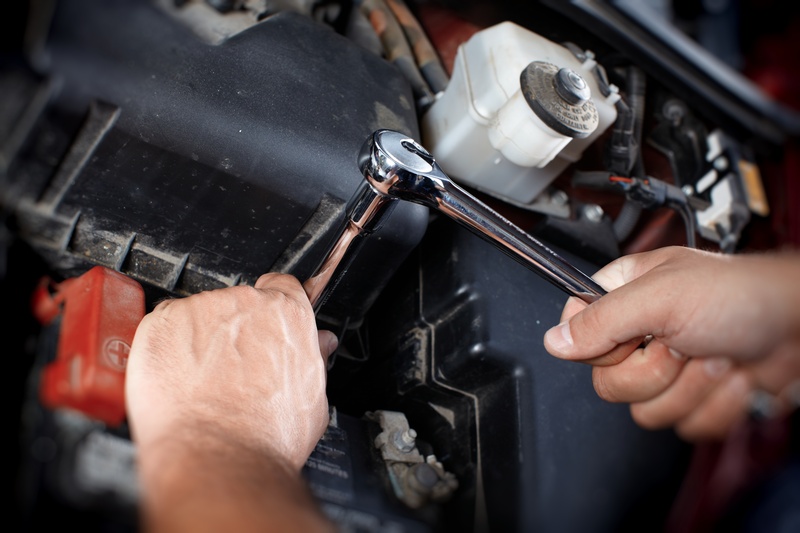 If your car battery is old or worn out it will not perform like it should and will need replacing. Battery Terminal Cleaning and Replacement: Computune Certified Auto has the necessary tools and solvents to make sure the terminal stays clean, and the equipment to replace it if necessary. Light Bulb Inspections and Replacement: Utah state law requires a vehicle’s headlights and taillights to be properly aimed and illuminating. We can inspect and replace your bulbs to make sure that your vehicle can stay on the road safely. Plug and Wiring Inspection and Replacement: The wires in your car carry electricity between all the vital systems. If your car appears to be having an electrical issue, our team can assess the vehicle and make the needed repairs. If your car is having an electical issue don’t hesitate to bring it in for our auto electrical services. Our certified mechanics have the years of experience needed to diagnose and solve even the most uncommon electrical issues. At Computune Certified Auto, we want our customers to feel comfortable, confident, and safe behind the wheel, and that means having brakes that are well maintained by certified professionals right here in Utah county. We have the experience and equipment to ensure that all aspects of your brake system are functioning optimally. Rotor Resurfacing: Resurfacing rotors takes specialized equipment. Take your car in today and we can have your rotors resurfaced in a matter of minutes. Caliper Replacement-Because calipers absorb a lot of heat when braking, it is important to make sure that they are properly maintained. Brake Hoses Replacement-Brake systems require brake fluid in order to function properly. 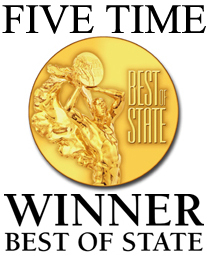 We recommend that you have you hoses inspected every 30,000 miles or 24 months. Brake Fluid Flushes– A flush removes contaminants from your and can prolong the life of your brake system. Anti-Lock Brake System Maintenance– Most modern cars have anti-lock brakes and we have the years of experience to make sure that our are working properly. If you are having problems with your brakes, or just have a question, we will be happy to diagnose and fix the problem. Our number is 801-375-9111, 801-374-0775. Visit us to receive an assessment on your brakes. What is Inspections and Emissions Testing? The state of Utah requires vehicle owners to have their cars inspected every year for both safety and emissions before they can renew their vehicle registration. Our team at Computune Auto is equipped to handle these inspections quickly but thoroughly, getting you back on the road while ensuring your safety. 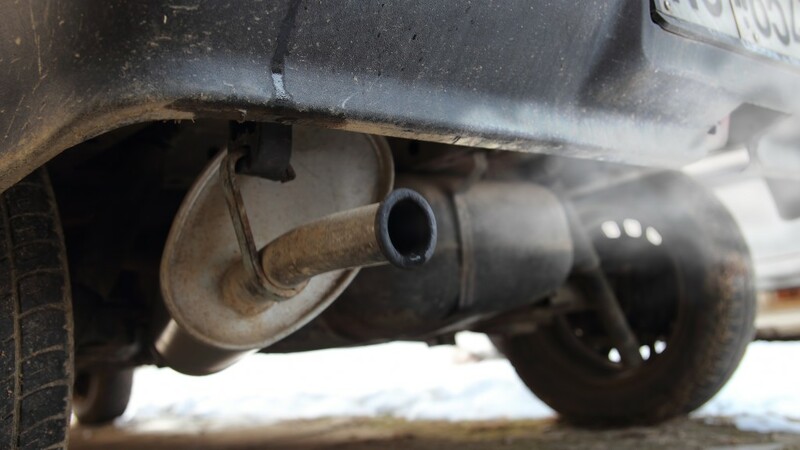 The emissions inspection involves making sure that your vehicle emits acceptable amounts of exhaust. A safety inspection consists of checking basic safety components: brakes, lights, tires, wheels, rims, horns, windshield wipers, and mirrors. If any of these components aren’t up to safety regulations when your car is tested, no problem! Computune Certified Auto can make the necessary repairs right in our shop. We will even test your car a second time for free within 15 days of the first test. Computune Certified Auto, we can do both the Utah Saftety and Emissions inspections at once to save you time and trouble! If there are no vehicles in line before yours, the inspections and emissions test shouldn’t exceed 30 minutes. 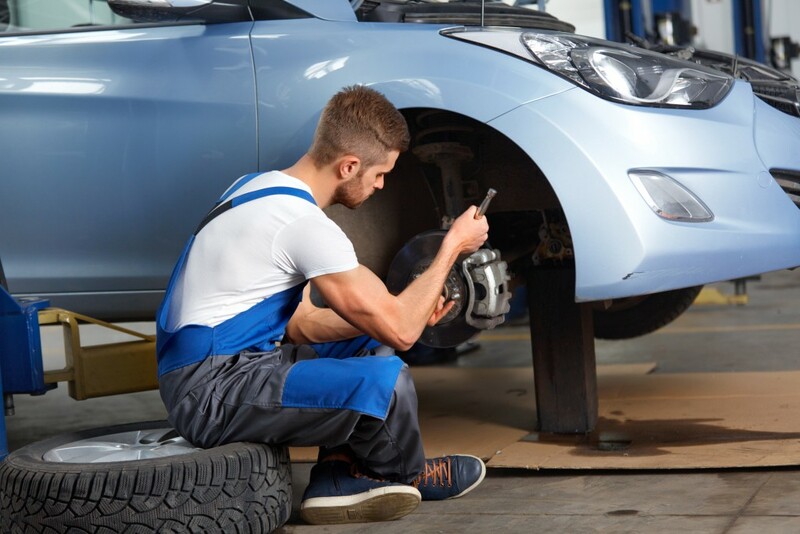 No matter your type of vehicle—automatic, manual, 4-wheel drive, or front wheel drive—our certified mechanics can quickly diagnose the root cause of the problem to help you make the best decision for your car’s repair. Fluid Leak Repair: Our mechanics can pinpoint the source of fluid leaks. Transmission Flush: A flush removes grease and sludge build-up from your transmission. Transmission Replacement: Our certified technicians have the equipment and training to replace an old transmission with a new, durable model. Clutch Repair and Replacement: Clutches frequently get worn out over time and need replacement. 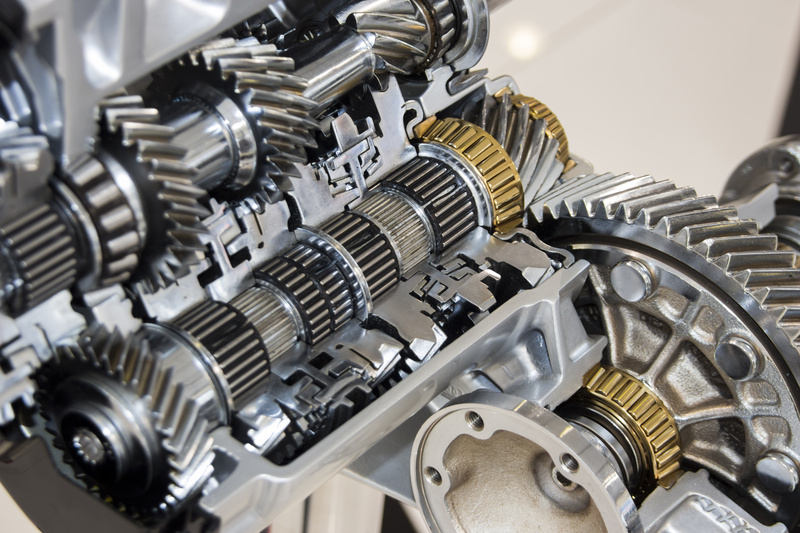 If you are concerned that you may need your transmission looked at, don’t hesitate to schedule an appointment at Computune Certified Auto Repair today. Bring your vehicle in, and we will get you safely back on the road.